When homicide detective Mike Hoolihan (Patricia Clarkson) is called to investigate the murder of a leading astrophysicist in New Orleans, she is confronted by a mystery that begins to affect her in ways she had never expected. As the investigation deepens, a darker world is slowly revealed and she must use all of her skills and experience to piece together fragments of a wider conspiracy that lies behind the murder. 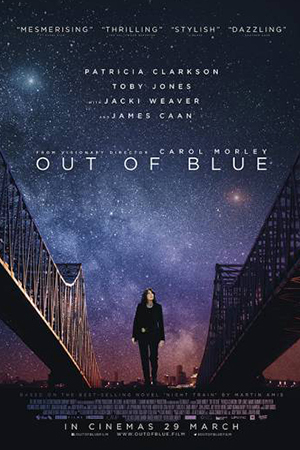 Out of Blue is an unmissable neo-noir mystery in which one detective’s quest for truth begins to destabilise both her view of the world and her very being. For Dec 2016 soft launch - see individual films for details. Full hours TBC Jan 2017.